Visage Make Up & Hair Design was formed with the idea of making professional Make Up & Hair Design available to all and not just those working in the media, theatrical, fashion and beauty industries. I strongly believe that each and every person deserves to be able to look their best at all times. I therefore strive to share my expertise and knowledge, enabeling my clients to feel confident with their image. I love spending time with my clients to really understand their style and taste, so I can put together a perfect look for their lifestyle or the special occasion that they will be attending. For larger groups I am ably assisted by my daughter Sophie. Allison Halsworth, the founder of Visage Make Up & Hair Design, has more than 25 years experience working in the beauty industry. She has worked as a buyer and consultant, a beauty therapist and a hairdresser and now a make up and hair designer. 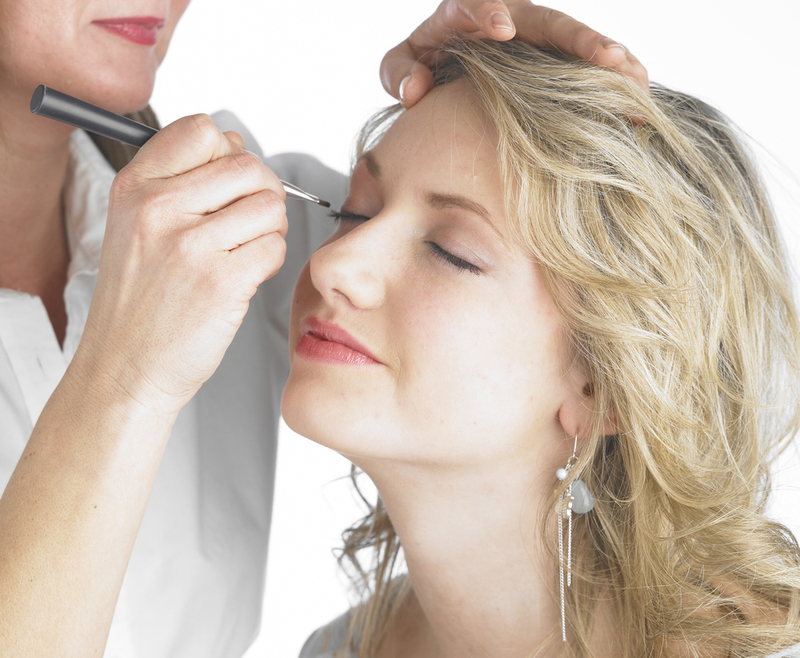 She's worked hard to establish a top notch reputation for premium quality treatments, styling and customer service. Her first salon opened its doors 26 years ago. She ran this successful salon based business until her children were born. She launched her freelance business in 2009, taking her professional studio out on the road creating style where ever she goes. Whether it is an elaborate fantasy show piece or just simple understated chic you can be sure of the most professional attention.